VGLI Auto Pay is an option for paying your Veterans’ Group Life Insurance premiums. With VGLI Auto Pay, premium payments are automatically deducted from your bank account on the day they are due. (If the payment due date falls on a weekend or holiday, funds will be withdrawn on the following business day.) When you enroll in VGLI Auto Pay, you authorize the Office of Servicemembers’ Group Life Insurance (OSGLI) to initiate electronic fund transfers from your bank account to pay your VGLI premiums. You will receive email notification 2 business days prior to funds being withdrawn from your bank account. The notification will provide you with the date and amount of the withdrawal. You will not receive VGLI billing statements via US Mail while enrolled in VGLI Auto Pay. If you want to receive VGLI billing statements via US Mail, you should not enroll in VGLI Auto Pay. To receive timely notifications, you will need to keep your email address current and to update email filters that may prevent you from receiving the notifications. Even if emails are returned undeliverable, or if the email address provided is not a valid address, OSGLI will continue to initiate electronic fund transfers for paying your VGLI premium until you cancel the authorization. Your Payment History will be available for viewing via your VGLI Online Account. You are eligible to enroll in VGLI Auto Pay via your VGLI Online Account if your premiums are paid up to date. You will be asked to designate a checking or savings account from where you authorize withdrawals to pay your VGLI premiums. You can make changes to the designated bank account at any time via your VGLI Online Account up to three business days preceding the scheduled date of the transfer. You can opt out of VGLI Auto Pay any time via your VGLI Online Account. If payment is due at the time you opt out, you will be responsible for making such payment to ensure your VGLI coverage continues uninterrupted. You will be opted out if a withdrawal request is not honored by your bank. OSGLI will send you a notification and will request payment of the amount due. Your premium payment may change depending on your age. OSGLI will send you a written notification 30-60 days before the effective date of the premium change. Your premium amount may vary as a result of coverage amount and payment frequency changes that you request. You will be informed of the new premium amount at the time of the request. When will my VGLI premium payment be withdrawn from my bank account? Your VGLI premium payment will be withdrawn on your premium due date. Will I receive notification prior to the payment being withdrawn? Yes. You will receive an email prior to funds being withdrawn from your account. It will provide you with the date and amount of the withdrawal. Can I cancel VGLI Auto Pay after I’ve enrolled? Yes. You can cancel your enrollment in VGLI Auto Pay anytime through your VGLI Online Account. You can also re-enroll anytime after you’ve cancelled. 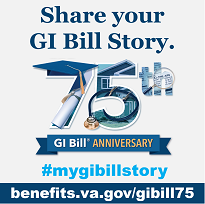 Can I receive a copy of my bill in the mail if I’m enrolled in VGLI Auto Pay? You will not receive paper bills in the mail, but you will receive email reminders before your payments are deducted. You can also view your most current billing information anytime by logging on to your VGLI Online Account. What happens if I change how often I receive my VGLI bills (e.g., from monthly bills to quarterly bills)? You will be informed of your new premium payment due dates and amounts. Your new premium payment will be withdrawn from your account at your next premium due date. What happens if I change my coverage amount? You will be informed of your new premium at the time you request the change. Your new premium payment will be withdrawn from your account at your next premium due date.